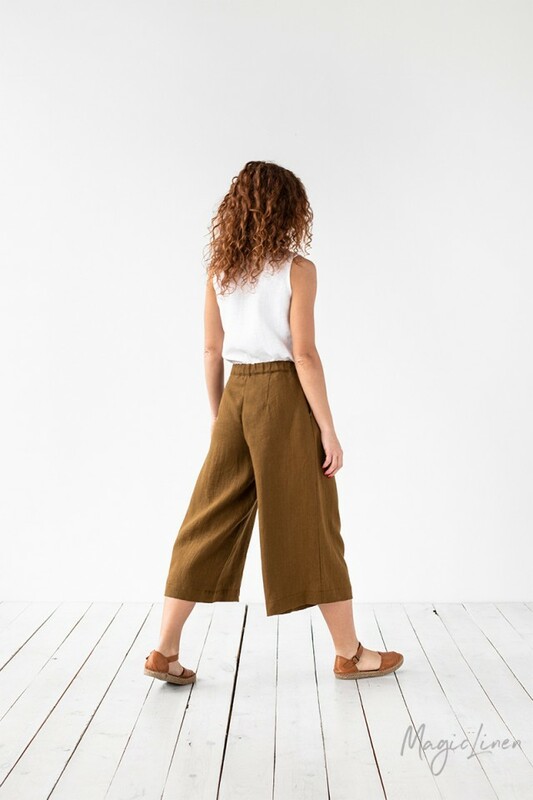 Linen culottes available in seven beautiful colors. The most comfortable linen pants you'll ever own! 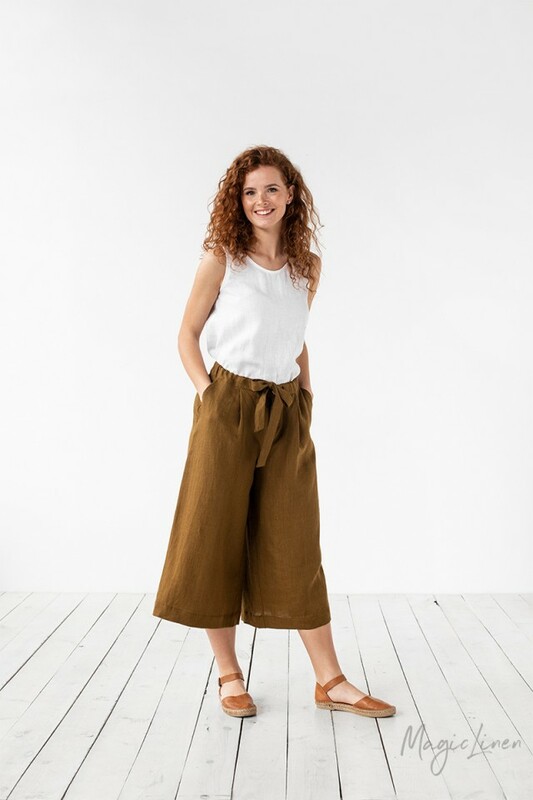 These roomy, wide leg linen culottes are fitted with an elastic waistband and a concealed zipper fly. The pleated front makes them drape beautifully over your legs. Two side pockets for your comfort.